I wrote my first post about bullet journaling back in February. I had been using my beloved BuJo for a few months at that point. So it’s my first anniversary using the Bullet Journal! And I still love it, probably more than I did back then. It’s the ONLY journaling habit that has stuck with me for any length of time. I think it’s because I keep bullet journaling simple. I am no artist. I don’t doodle in my BuJo. I do try to keep it as neat as possible, but I don’t let form get in the way of function. 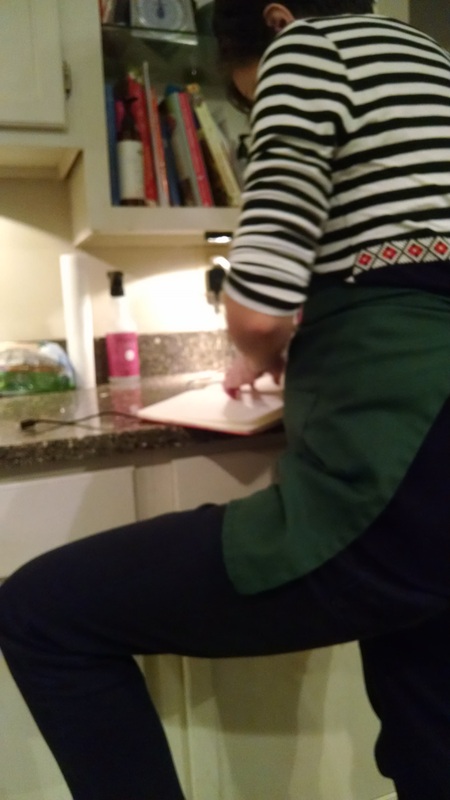 It’s all about making my life easier and keeping up with all.the.things a homeschooling, blogging mom of 7 has to keep up with. This is how I start my day every morning. Six days a week, I’m at the local coffee shop at 6 AM. I don’t have time to sit there and wonder, “What do I need to work on now?“. I need to KNOW, instantly, when I sit down to begin. Here’s where my BuJo comes in. This is a sample spread. Note there there is no real color-coding. I tried that, but as any mom will testify, little kids ruin your pens, so I couldn’t always find the right color when I need it. And to quote Sweet Brown’s now famous words, ain’t nobody got time for dat. But let me back up. 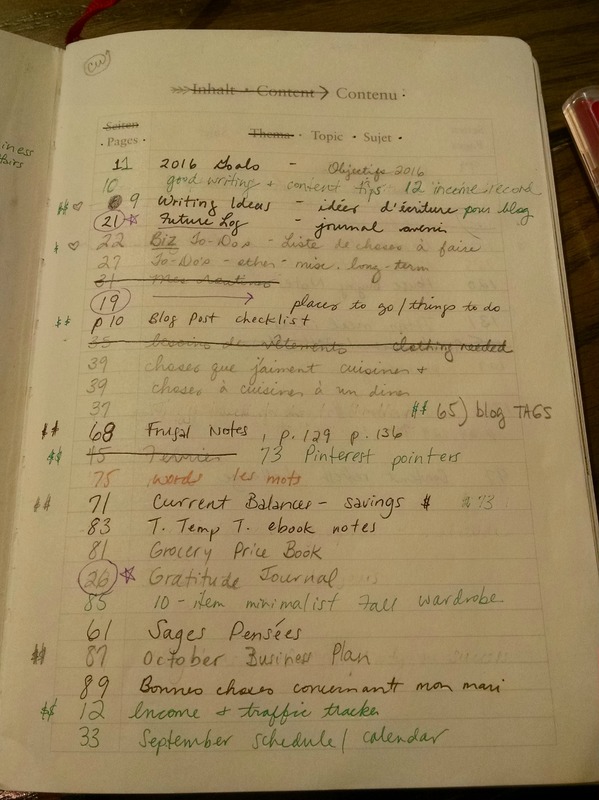 The beauty of the Bullet Journal, and what makes it different from other organizers/planners/journals is the INDEX page at the beginning of the book. The index reminds you where all the stuff you wrote down IS so you can actually, y’know, find it again. Which is useful. If you click on it to see it bigger, you’ll see it’s in French and English. Unlike many bullet journalers, I do remove pages when I’m done with them. Clutter really disturbs me visually, so I either neatly tear the page out (if you hold a ruler to the page you can do so neatly), or use washi tape to tape together spent pages so I don’t have to see them and get distracted by their tackiness. 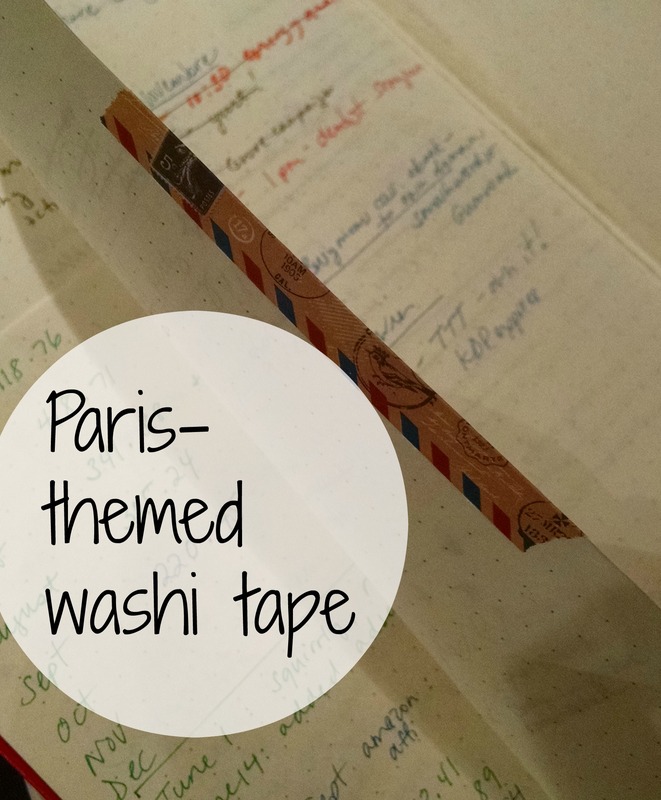 This is the only roll of washi tape I own (Paris-themed , bien sur), have ever owned, and my daughter gave it to me. That’s the extent of my craftiness, folks. And I’m ok with it. I use my Bullet Journal many times a day, for many different things. Recently I added a “Health Notes” spread. I’ve been waking up with bloodshot eyes a lot, and attempting to figure out why. Is it coughcough perimenopausal hormone changes coughcough? Does it happen when I have wine before bed? When my sleep is interrupted by a thankfully adorable but nevertheless annoying nursing toddler? Or what? This tracker will help me figure it out. Funny but true story. My 4-year-old (hence the extreme blurriness) grabbed my phone last night while I was cooking dinner, and began snapping pics. Guess what one of the pictures was of? Me, writing something in my Bullet Journal. 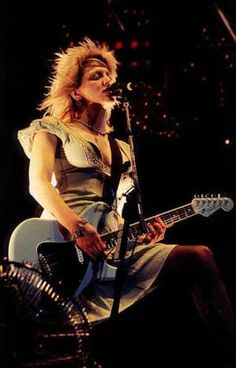 With my leg propped up like Courtney Love‘s. Which has nothing to do with the focus of this post, but as a Gen-Xer, I had to throw in there. But at least you can’t see my underwear, like you would have at a Hole show. So there’s that. I’m writing in my Bullet Journal, or checking it, many times a day. Which is why it’s looking pretty awful right about now, but I’m disciplining myself not to buy another until just before the new year. Because I like to use stuff up. Then, I have many “collections”. Collections are simple lists. Your Bullet Journal is yours, and you can keep it simple like I do, or it can be as complicated as you want! It’s highly individual. My favorites are the Staedtler triplus fineliners and also the Pentel Slicci (I buy the 0.25 width, super fine). Both are fine point pens, which work well with the BuJo, but don’t bleed through. This is important. 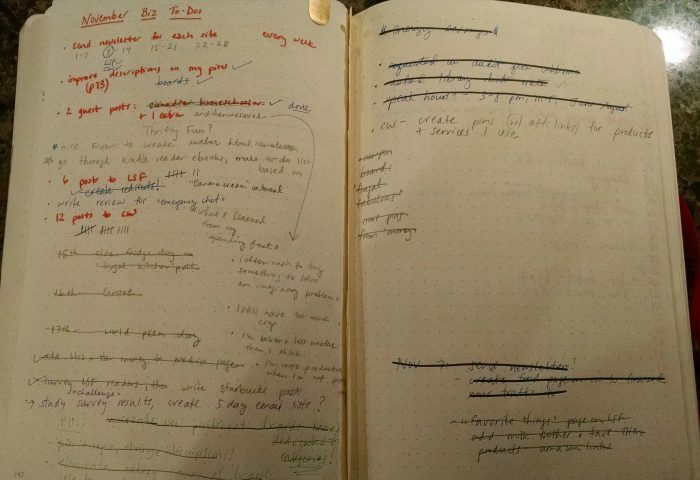 I do occasionally bullet journal in pencil, though, especially for to-do lists and collections that are somewhat disposable. Do you bullet journal? How do you keep it simple? LOVE this – thanks!! 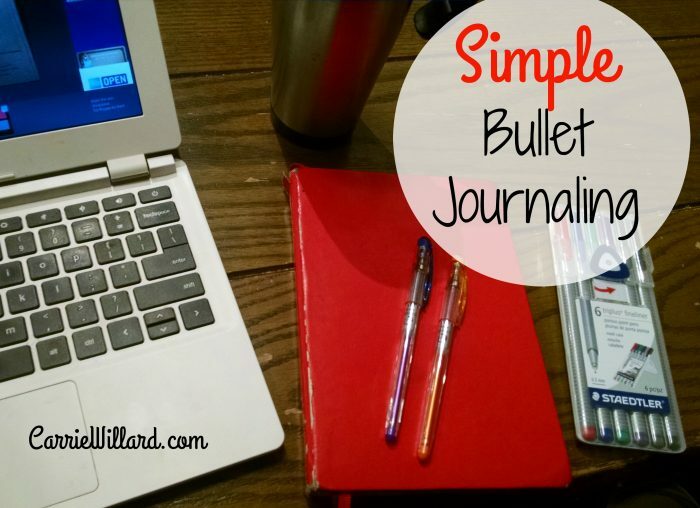 I’ve heard people raving about their BuJos, but figured it differed from a regular journal in that it used bullet points sentences. I LOVE the Index page! Hi Carrie!! 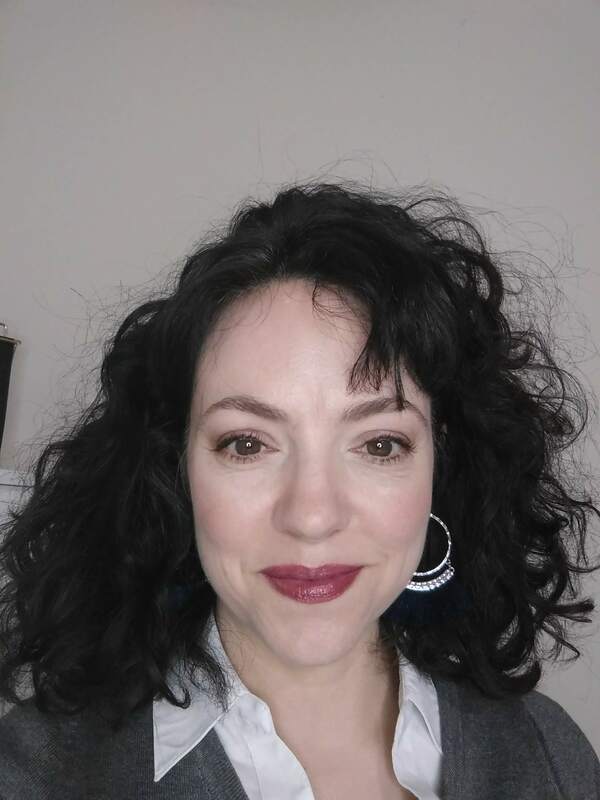 *waves excitedly* You’ve recently changed my life and I’d love to tell you about it… Last month I discovered Frugalwoods and while browsing replies to a blog post, your comment piqued my interest. I “followed” you over here and between reading YOUR blog posts, I came across THIS! Now, as a selfconfessed time management and personal development junkie, I don’t know how I’ve managed NOT to hear about the Bullet Journal but there it is. Now that I’ve researched the Bullet Journal on YouTube etc. I’m even MORE happy I happened upon you and your link to bulletjournal.com FIRST. If I’d seen all the “artwork” BuJo’s out there first, I’d immediately passed on it as something not for me… ain’t nobody got time for DAT! 😉 So thanks!! !